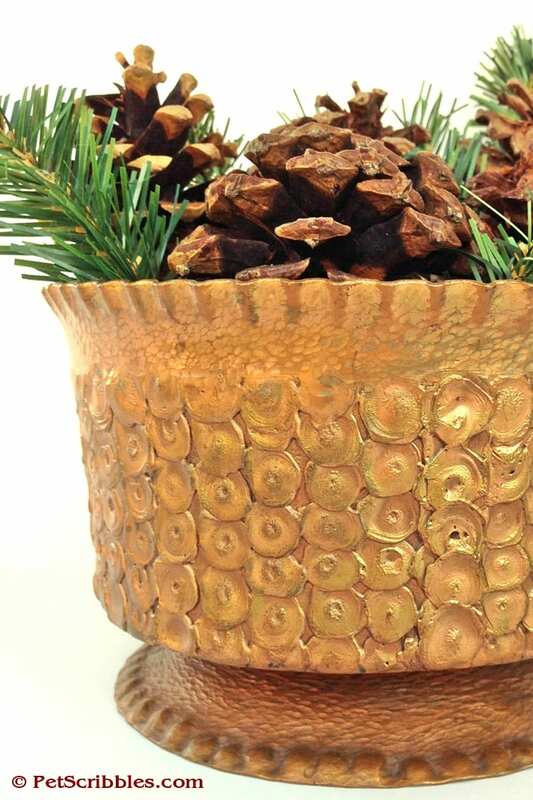 Use natural elements for an easy Christmas centerpiece that will last well beyond the holiday season into the Winter months! Simple is best when it comes to decorating for Christmas and the holiday season. 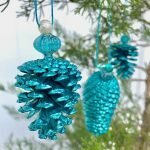 Yes, I’ve shown you how to create many Christmas crafts and decorations – but – even I like simplicity! 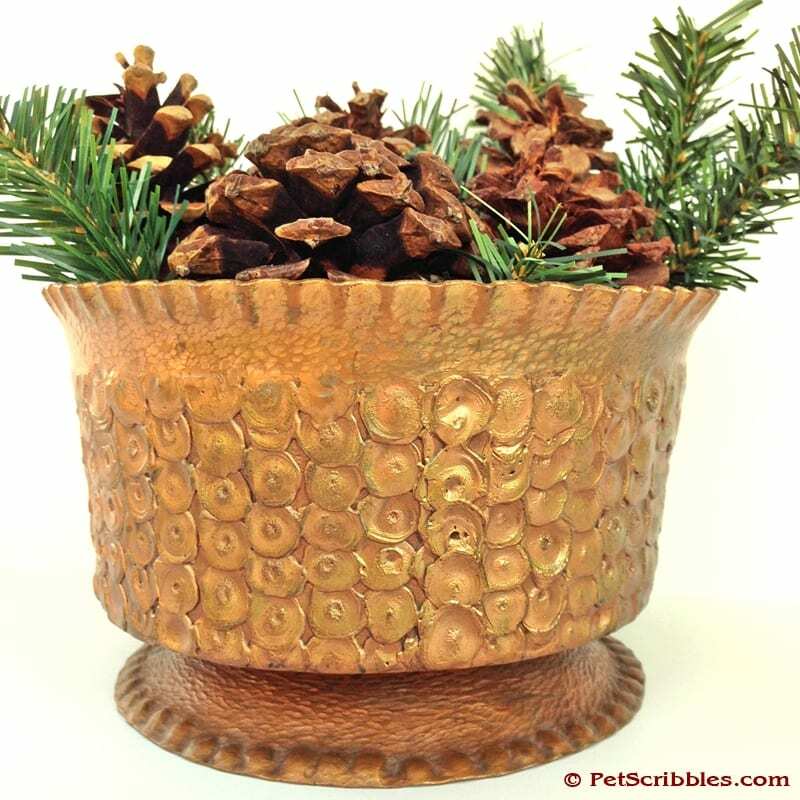 Each year, I add fake pine sprigs and real pinecones into this gorgeous antique copper vase that was handmade in Germany by my husband’s great uncle. 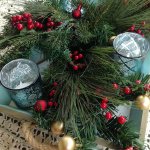 It’s a simple Christmas centerpiece and so beautiful. 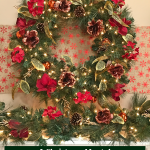 In my previous blog post I shared with you my easy trick for lots of holiday greenery. 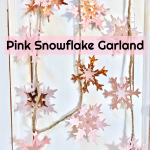 Cut up a fake pine garland to use the branches and sprigs in your Christmas decorating around your home. Stick a few here and there, or bunch several together. 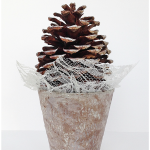 Larger-sized pinecones are the finishing touch. 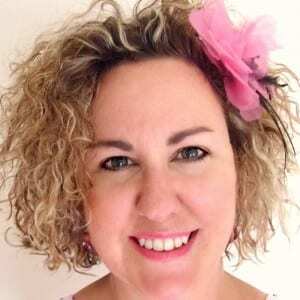 You can use real or fake – whatever you have at hand. 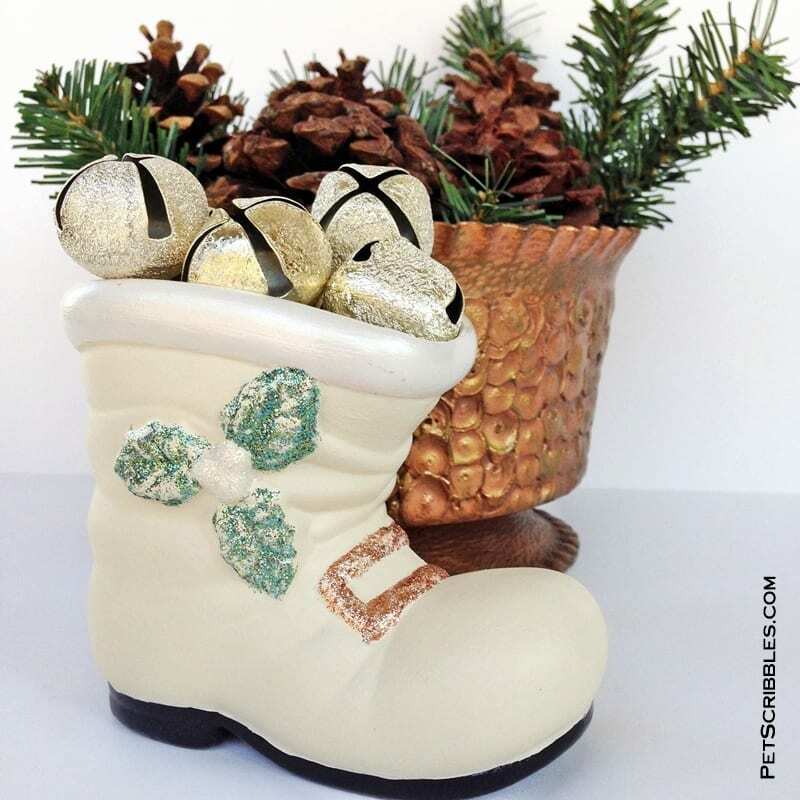 Our Christmas centerpiece shares a spot with a vintage Santa boot that I updated with paint and glitter. 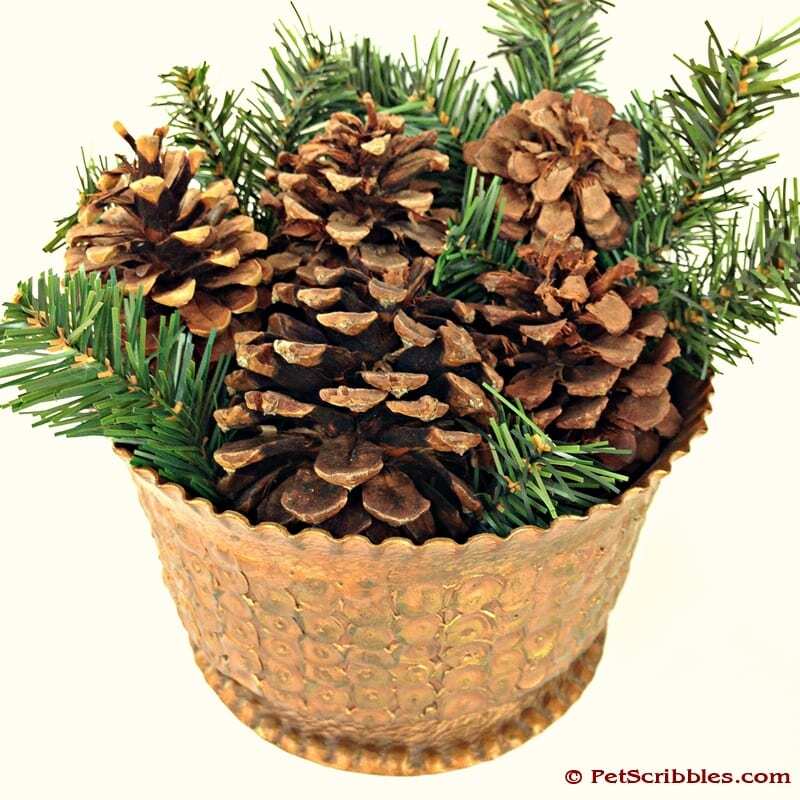 After Christmas, the Santa boot will get packed up for another year, but this pretty arrangement of pinecones and greens will stay on our table throughout the Winter. 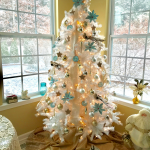 So keep your decorating simple and enjoy the quiet beauty of this holiday season. Especially if you’re reading this with just one week to go until Christmas Day!